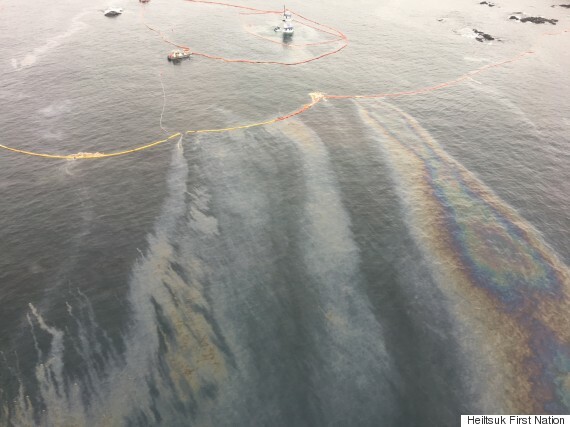 As reported by CTV News, A British Columbia First Nation has released a plan it says will give it a leading role in oil spill prevention and response on the province’s central coast. A report from the Heiltsuk Nation calls for the creation of an Indigenous Marine Response Centre capable of responding within five hours along a 350 kilometre stretch of the coast. The centre proposal follows what the report calls the “inadequate, slow and unsafe” response to the October 2016 grounding of the tug the Nathan E. Stewart that spilled about 110,000 litres of diesel and other contaminants. Heiltsuk Chief Councillor Marilyn Slett says during that disaster her people saw what senior governments had described as world-class spill response and she says the Heiltsuk promised themselves that this would never happen in their territory again. The report says the proposed centre, on Denny Island across from Bella Bella, and satellite operations dotted along the central coast, would need a total investment of $111.5 million to be operational by next summer. Unlike current response programs which the report says are limited specifically to spills, the new centre would answer all marine calls with the potential for oil contamination, including groundings, fires, bottom contacts and capsizings. “(The centre’s) effectiveness hinges on a fleet of fast response vessels capable of oil clean up and containment, and a tug and barge system providing storage and additional oil spill clean-up capabilities,” the report says. The barge would also be equipped with enough safety gear, provisions and living space to allow a response team to remain on site for up to three weeks without outside support. The marine response centre would have annual operating costs of $6.8 million, covering a full-time staff and crew of 37. “From Ahousaht with the Leviathan II to Gitga’at with the Queen of the North to Heiltsuk with the Nathan E. Stewart, Indigenous communities have shown that we are and will continue to be the first responders to marine incidents in our waters,” says the report, signed by Slett and hereditary Chief Harvey Humchitt. Indigenous rescuers were first on the scene when six people died after the whale-watching vessel the Leviathan II capsized north of Tofino in 2015. Two people were killed when the Queen of the North hit an island and sank in 2006 west of Hartley Bay and First Nations helped in the rescue. “The time has come to meaningfully develop our capacity to properly address emergencies in our territories as they arise,” the report says.